2 Bedroom House To Rent in Godalming for £1,350 per Calendar Month. 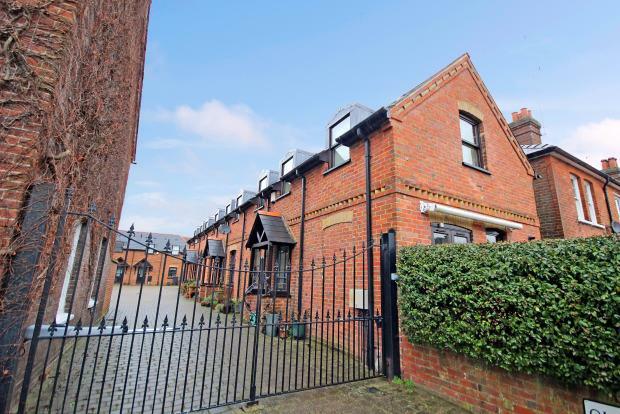 We are pleased to present this immaculate two bedroom house in this gated development in Farncombe. This end of terrace house comprises of a spacious hallway, leading onto a lounge with a working wood burner, a recently fitted modern kitchen, a guest cloak room, upstairs there is a generous landing opening onto two bedrooms (a spacious double and a generously sized single) and a large bathroom with a shower cubicle and a bath. The lounge is well shaped with its laminate wood floors and has a working wood burner. The kitchen is extremely well presented and boasts real granite worktops and a large feature extractor fan. The kitchen is fully equipped with appliances, including a new dishwasher, a fridge-freezer, a washing machine, a cooker with a hob and a microwave. There is plenty of space for a dining area and a direct access to the enclosed attractive garden. The garden comprises of a patio area surrounded by a few flower bed arrangements and is easily maintainable. Upstairs, both bedrooms are freshly carpeted. The master bedroom is specifically large and the single bedroom is also good sized. the bathrooms fixtures and fittings are in immaculate condition and are well presented. Located in a gated development only a few minutes walk from the train station and amenities of Farncombe, the house would be just ideal for a professional couple looking for a convenient accomodation within easy reach of London and easily commutable. There are two parking spaces allocated within the development. Available end of March, unfurnished.